Best Score, Who I Want To Win – Either John Williams film! 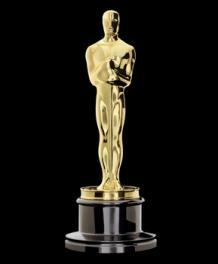 Who I Think Will Win – ‘The Artist’. Best Song, Who I Want To Win – Bret McKenzie for ‘The Muppets’ of course! Who I Think Will Win – Brett McKenzie! Best Sound Editing – Who I Want To Win – ‘Drive’. Who I Think Will Win – ‘War Horse’. Best Sound Mixing – Who I Want To Win – ‘War Horse’. Who I Think Will Win – ‘Transformers 3’. Best Visual Effects – Who I Want To Win – ‘Rise Of The Planet Of The Apes’. Who I Think Will Win – ‘Rise Of The Planet Of The Apes’.